Mataking Island is one of the attractions among many which are offered by Sabah Tourism. If you are on a lookout for a tropical island vacation, then you need not look further. A vacation amidst the natural beauty which is in abundance around Mataking Island will leave behind happy memories. Family vacation ideas are innumerable. One can visit any number of places on this earth. Some prefer to go to Disneyland, while others like to visit the City that never sleeps. People go to the mountains to enjoy a skiing session, snowboarding, mountaineering or rock climbing. Some take a Safari trip to explore the forests of Africa. A tropical island vacation has its own charm among all other family vacation ideas. The Island of Mataking is paradise for divers. There is a wonderful opportunity for divers to explore the beautiful Eel Garden, Nudibranch Garden, Hump Head Point, Coral Garden, Lobsters Lair and Turtle Playground. Special diving lessons are made available for people who wish to learn diving. A unique attraction of the place is the ‘Underwater Post Office’. Mataking Post Office is housed in an old Cargo ship. Divers place the post and seal it in vacuum bags which are waterproof. Tropical beach at Mataking is covered with pristine white sands. Honeymoon couples can enjoy their stay in this Romantic Getaway. The setting is ideal for people who want to shun the crowds for some time. Natural tropical beach offers an idle afternoon. You can enjoy a picnic lunch under the Sun. This calm and serene place is a lovely way to get back your strength after hard working days in the city. It is also an extremely well known haven for divers. There is a huge diversity of marine life underwater - with plenty of turtles and micro life. 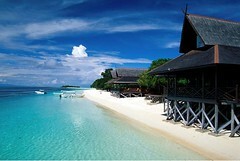 The Reef Dive Resort, the only Mataking resort, offers a comfortable and romantic stay at the place. One can choose from among its numerous luxurious beach villas, deluxe rooms and executive King Chalets. The rooms in Reef Dive Resort are fully furnished with modern day comforts. You can have a private shower in the bathroom; there is dental kit and toiletries. There is satellite TV, a mini bar, coffee maker and air conditioner in the rooms. City people don’t miss out on any of their civilized comforts during their stay among the natural comforts offered by Mataking resort. A private balcony is there with each room. You can soak up the sun from your private Sundeck garden chair; there is also private Gazebo sitting area. Many enjoy a private Jacuzzi. No matter where you choose to spend your nights, warm breeze is all around. To get to Tawau, you can either take an Airasia flight directly from Kuala Lumpur or take a Malaysia Airlines flight from the Kota Kinabalu airport. Once you are at the Tawau Airport, you need to get to Semporna. You can reach there with a taxi or use the minivan service available (For schedule, refer to picture below). At Semporna, there will be speedboat services arranged by Reef Dive Resort (For schedule, refer to picture below). 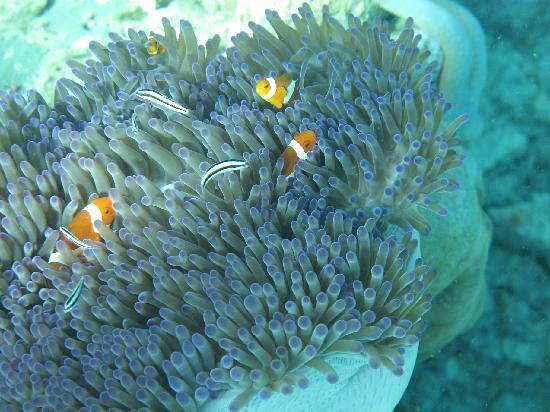 Tip: Be sure to make your bookings and arrangements early with Reef Dive Resort. Share your Amazing Mataking Island Adventures! Had an unbelievable Mataking Island adventure? Learnt a few useful tips and tricks to visiting Mataking? Took some amazing photos you'd like to share with the world? Here's your place to do so! Your tips would be most helpful to fellow visitors looking to visit Mataking as well. Enter Your Title Here (e.g: "An Excellent Destination for Divers"